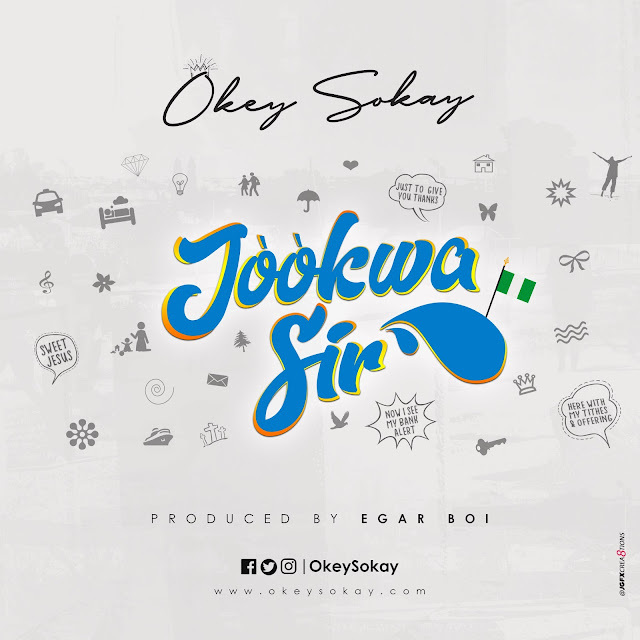 Okey Sokay kicks off the year by teaming up with Egar_Boi once more to make this awesome piece "Jòòkwa Sir ". Jòòkwa Sir ( meaning " Thank You Sir " ) is a Thanksgiving Song laced on a TRAP BEAT with beautifully layered vocals on this track where we also see Okey Sokay the music mystro venturing into RAP. In Okey Sokay's word "Live a life of thanksgiving in this new year is key and remember you can do all things through Christ that strengthens you." Jòòkwa.. Tribe - Amasiri, Afikpo-North , Ebonyi State , Nigeria.